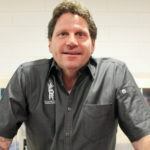 In September, Food & Drink Resources (FDR) had the great fortune of bringing on a new managing partner, Ric Scicchitano. Ric will serve alongside FDR Co-founders Richard Keys and Scott Randolph and will lead the development of new business growth. More specifically, he will work to bring on new agency clients, build existing client relationships, expand FDR’s range of services, and work side-by-side with the FDR culinary team. 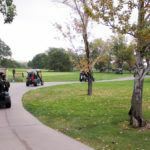 One last thank you to everyone who sponsored and attended the first FDR Golf Outing in support of Share Our Strength’s No Kid Hungry Colorado. Together we raised $10,000 for the local campaign! That means healthy meals for 300 families and nutrition and financial literacy skills to last a lifetime. 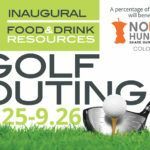 The FDR Golf Outing coming up on September 25 and 26 is in support of Share Our Strength’s No Kid Hungry in Colorado. Naturally, we want to raise funds to support the cause! 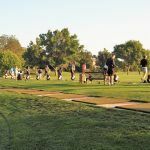 In addition to the proceeds from our sponsors and participant fees, we’ll have a few games and opportunities for players to contribute both during the Monday evening reception and golf game on Tuesday. How it works: Each player has the option of buying a turn to play 9 holes of a set course of the Golden Tee Arcade Game. Winner gets a prize from Food & Drink Resources. FDR’s Scott Randolph will be bartending. He does not make change. 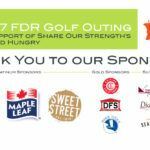 Food & Drink Resources (FDR) is partnering with Share Our Strength’s No Kid Hungry® in Colorado to produce a golf outing for our friends in the corporate restaurant industry on September 26, 2017. Our food and beverage manufacturing partners have made it possible for participants in the FDR Golf Outing to receive playing privileges at the Golf Course at Hilton Denver Inverness, golfer gift bag, happy hour with drinks and heavy appetizers the day before, and continental breakfast, lunch, and drink tickets on the day of the golf outing. Do you like to golf? Network with others in the corporate restaurant industry? Visit Denver? Then the Food & Drink Resources (FDR) Golf Outing is for you. This is the first year for the event and we’d love to have you join us! 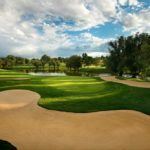 If you’re still not sure if the event is right for you, check out these 5 Reasons to Attend the FDR Golf Outing. 1. You are not eager to attend yet another conference or trade show, but you still want to connect with your colleagues.